Suitable for assessment of oxidative stress using urine, serum and cultured cells. For research use only. Oxidative damage of lipids caused by reactive oxygen species (ROS) play an important role in some diseases, lesion of cell functions and aging. Aldehydes such as malondi-aldehyde (MDA) and 4-hydroxy-2-nonenal (4-HNE) have been reported as one of the advanced lipid peroxidation products. But recently in the earlier stage of lipid peroxidation, 13-hydroperoxyoctadecanoic acid (13-HPODE) is found to be covalently bound to proteins1). Hexanoyl-Lysine adduct (HEL) is a novel lipid hydroperoxide-modified lysine residues. HEL is formed by oxidative modification by oxidized omega-6 fatty acids such as linoleic acid or arachidonic acid. 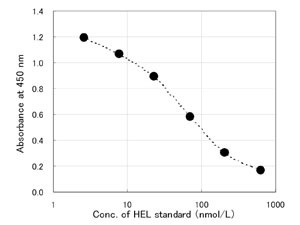 HEL may be a useful biomarker for initial stage of lipid peroxidation.Monoclonal antibodies and ELISA kit have been developped, and HEL can be detected in oxidatively modified LDL, in human atherosclerotic lesions, human urine and serum. It is also reported that HEL is formed in rat muscle during exercise, and the formation is prohibited by antioxidants such as flavonoids. JaICA have developed HEL ELISA kit in collaboration with Dr. Toshihiko Osawa (Nagoya University) and Dr. Yoji Kato (Univerisity of Hyogo). 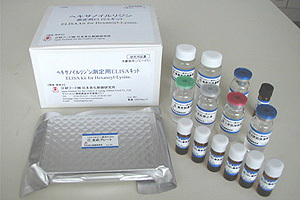 This ELISA kit can be applied to urine, serum and cultured cells form human and animal. Time to answer: Over night and 2 hours. 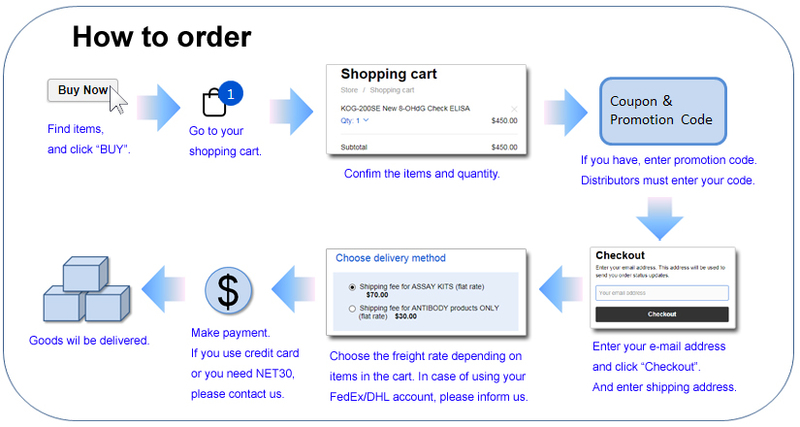 Applications: Urine, serum and cultured cells from human and animals. Storage: Store at 2 - 8°C (don't freeze). Expiry: 2 years after the day of manufacturing. Immunohistochemical detection of hexanoyl-lysine adduct. An original paper for HEL ELISA development.